Embrace the luxury, linear look with the Milano collection from Daytona by Signorini & Coco. Dark and dramatic styling on the base is the signature look of the Milano collection. Contrasting use of mixed materials enhances the luxury look. The structure forms a brushed metallic base offset with a contrasting deep and dramatic lacquered wood. Alongside the wood veneer is a thinly veined marble surface which completes the luxury look. 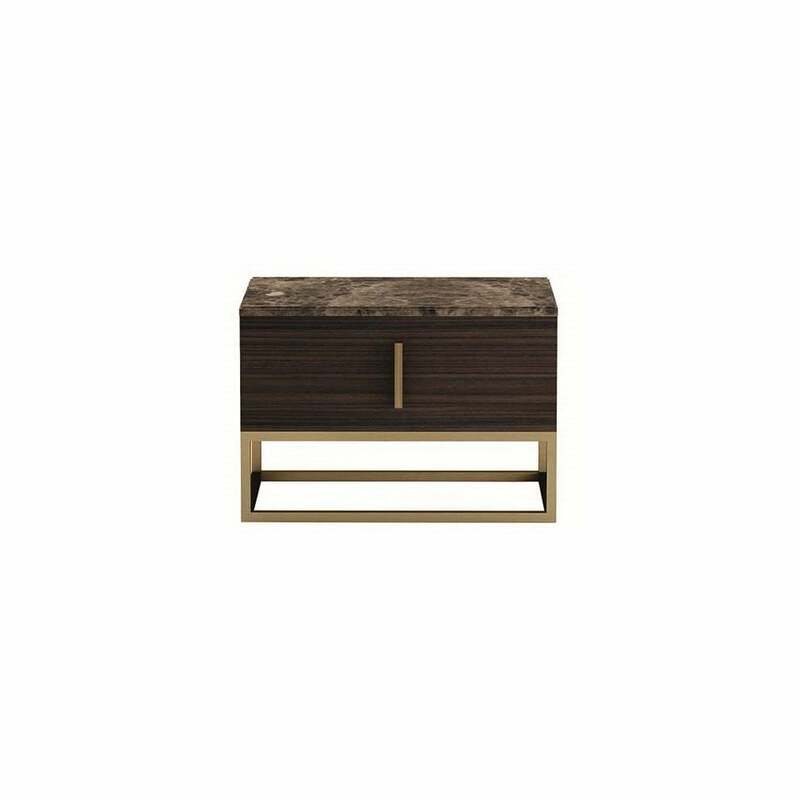 With a range of colours and finishes available, the Milano nightstand is the perfect style to include in your luxury bedroom. Contact us for the complete range of options available.